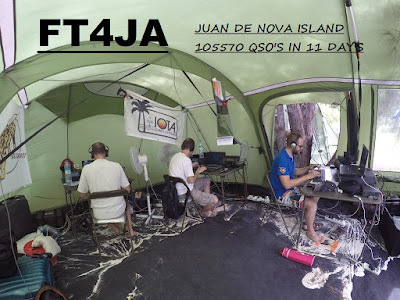 FT4JA Juan De Nova Isl. photo from their homepage. This 10 guy's made a tremendous dx-pedition . dx pedition team also. 105570 qso's in 11 days ,thats a great number. clearly see what I mean....My hats of for this guy's. No low band qso's for me on this one, to tired after the Asia trip.